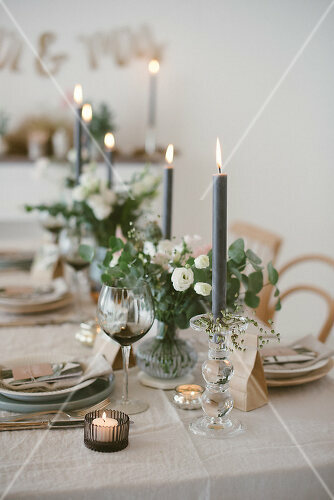 Create a simple organic and elegant dinner party for either a birthday or wedding. 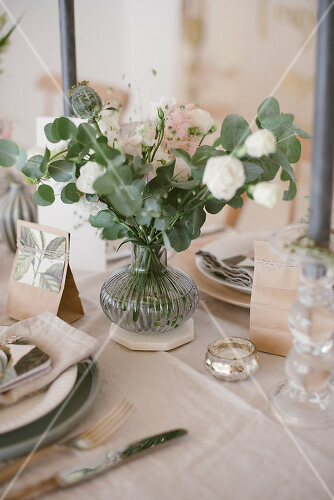 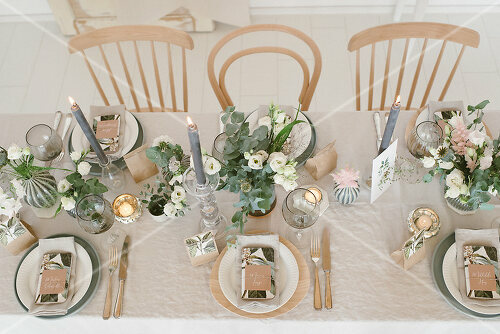 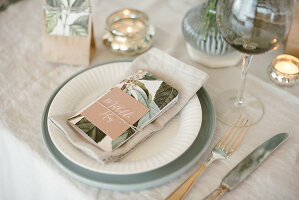 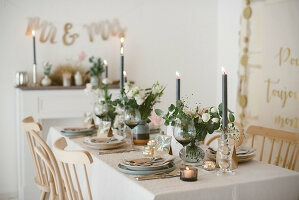 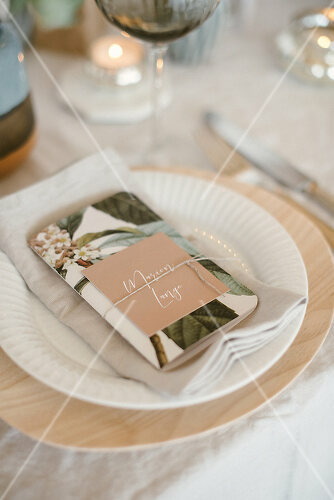 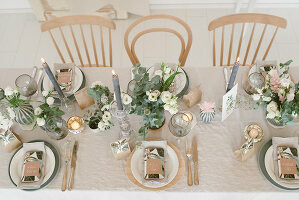 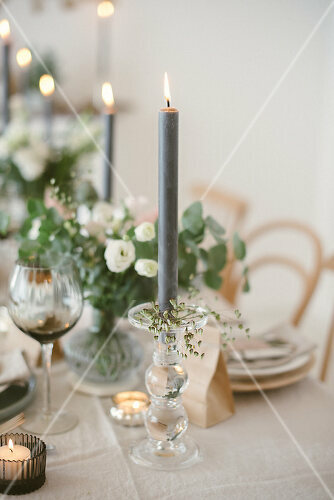 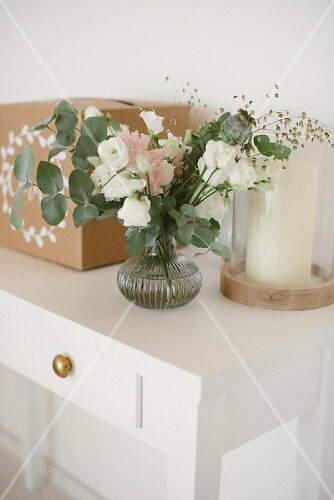 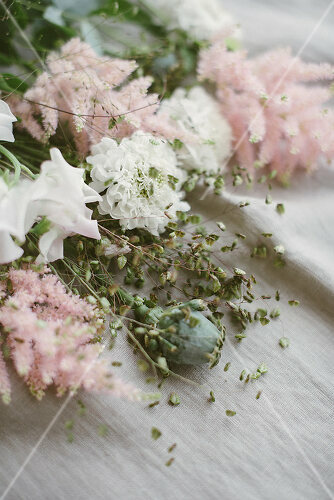 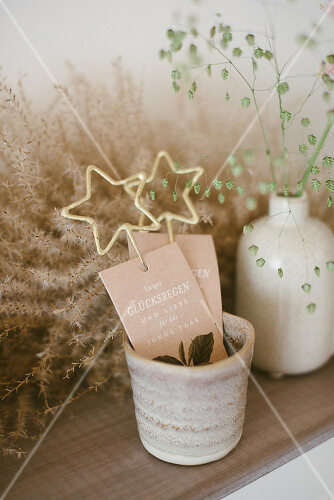 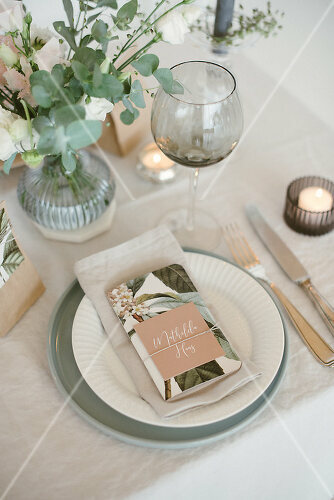 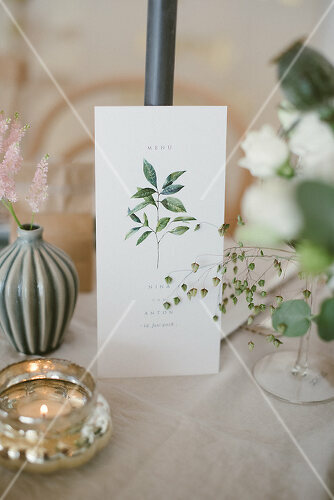 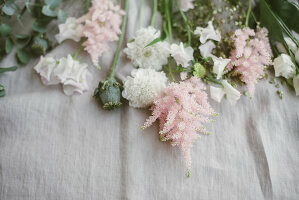 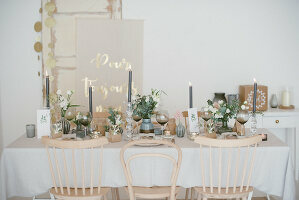 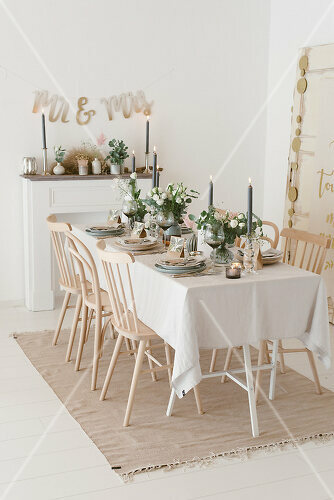 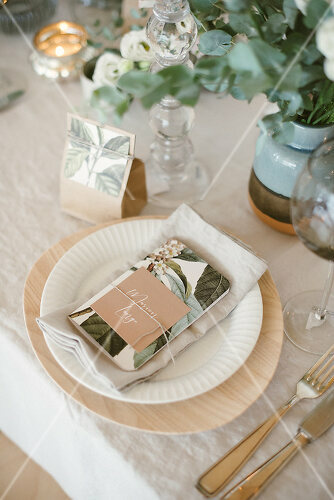 This Scandinavian inspired table decoration is beautifully created with soft tones and touches of subtle greenery. 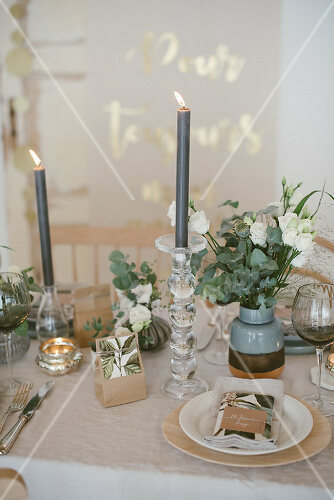 Everything down to the menus and stemware is refined and understated.